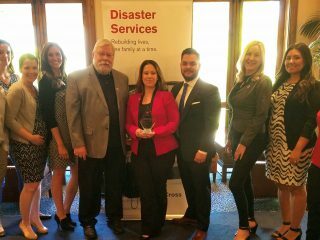 Nick Marra has seen the collaborative disaster response efforts of U-Haul International, Inc. and the American Red Cross up close. 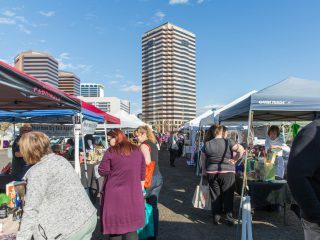 In 2012, when Hurricane Sandy decimated the northeastern U.S. coastline and caused an estimated $68 billion in total damage, the Red Cross requested 100 vehicles from U-Haul to transport relief supplies in the New York/New Jersey region. 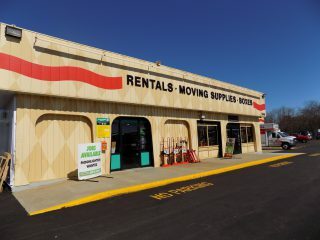 “We didn’t have 100 trucks at the time, but we worked with the northern district and southern district, rounded up the trucks they needed and we got them where they needed to be within two days,” said Marra, U-Haul area district vice president for five marketing company offices in New York and New Jersey. 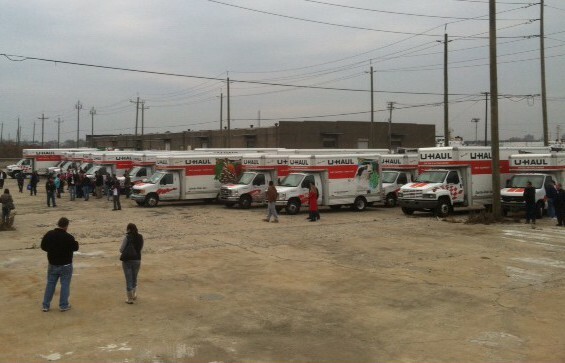 U-Haul trucks gather in New Jersey to assist the American Red Cross after Hurricane Sandy in 2012. 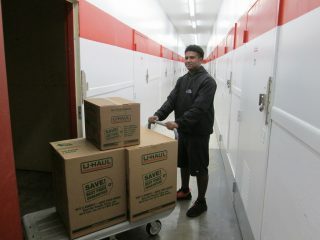 U-Haul has been helping communities in times of trouble and assisting the Red Cross when disasters strike for decades. U-Haul is proud to announce that these respected institutions have now formalized their longstanding alliance with U-Haul becoming an official Red Cross Disaster Responder. 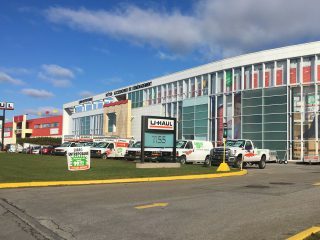 The national partnership, which went into effect in June, provides the Red Cross access to U-Haul Company’s range of resources including trucks and equipment, storage and easily reachable U-Haul locations stemming from an infrastructure encompassing 50 states and 10 Canadian provinces. The Red Cross, one of the world’s most valued non-profit organizations, offers U-Haul a breadth of experience and volunteer manpower in disaster response situations as well as a trusted vessel to aid more people in need. 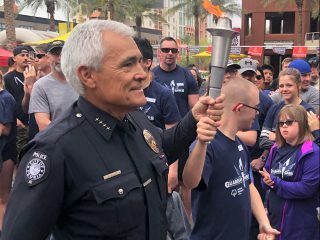 “U-Haul Company has had a longstanding, working relationship with the Red Cross and has been considered a first responder by the many communities it serves that have been challenged by national disasters,” U-Haul president J.T. Taylor said. U-Haul assisted the Red Cross in relief efforts following Hurricanes Sandy and Katrina and other disasters, quickly sending trucks to places where supplies were needed and offering free self-storage to victims. 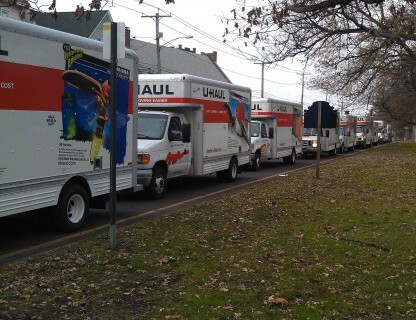 U-Haul trucks lined up and ready to help after Hurricane Sandy in 2012. 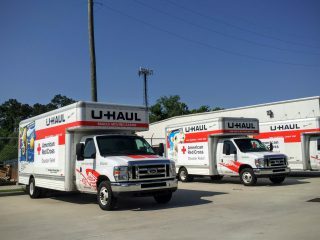 U-Haul is among 39 members with the Disaster Responder Program for the Red Cross, which shelters, feeds and provides emotional support to victims of disaster; supplies about 40 percent of our nation’s blood; teaches skills that saves lives; provides international humanitarian aid; and supports military members and their families. 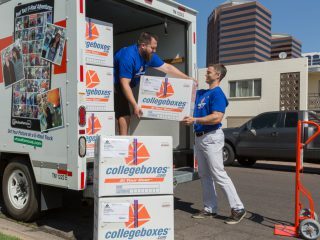 U-Haul, the industry leader in do-it-yourself moving and self-storage, is recognized as one of the country’s top military-friendly employers. As we approach the peak of summer and an often busy disaster season – from flooding and storms to severe heat and wildfires – this serves as a reminder that the Red Cross is ready to help people before and after disaster strikes, thanks to your support. Please visit redcross.org to learn more or make a donation. U-Haul recently incorporated the Red Cross into its #uhaulfamous campaign, donating one dollar for every #uhaulfamous photo sent in between Nov. 15 and Dec. 31 last year. Red Cross supporters are invited to become U-Haul Famous. 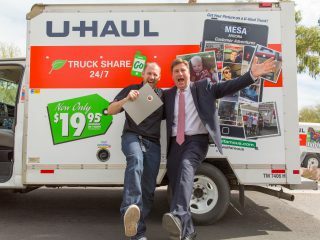 Take your picture in front of a U-Haul product, send it in and your face could land on the side of a U-Haul truck. Upload your photo through Instagram using #uhaulfamous, or go to uhaulfamous.com to submit photos and learn more. Have you volunteered with the Red Cross or benefited from the assistance of Red Cross Disaster Responders such as U-Haul? Please share your story in the comments box.